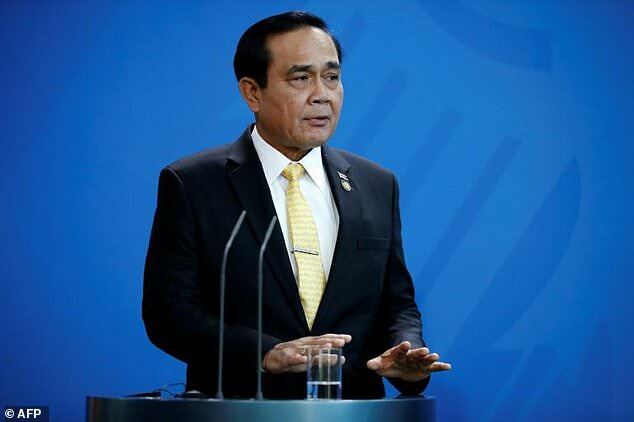 Thailand’s junta chief on Monday dismissed rumours of an impending coup as “fake news”, as speculation ricocheted across a kingdom unsettled by the ill-fated political union between a princess and a party allied to the powerful Shinawatra clan. Conjecture has coursed through Thailand since Friday when the Thai Raksa Chart party proposed Princess Ubolratana, King Maha Vajiralongkorn’s elder sister, as a candidate for premier after the March 24 election. It said the monarchy was above politics and described his sister’s candidacy as “highly inappropriate”. The slapdown by an unassailable monarch – protected by some of the world’s harshest royal defamation laws – who has never addressed the public in such strong terms, set off a chain reaction. Election authorities meeting Monday are expected to discuss whether the use of the princess’s name was unconstitutional, a first step towards dissolving the party. But on Monday the gruff former general, who masterminded a putsch against the government of Yingluck Shinawatra, Thaksin’s sister, in 2014, tried to stop it short. “Rumours…? We’re investigating. Fake news,” he told reporters at Government House about the merits of the speculation. “Pls#NoMoreCoup WTF with this country,” said one Twitter user, while another said “I wish we have only #election2019”.